They already won the League Cup as they defeated Chelsea on penalties in February. They have already advanced to the semi-finals of the FA Cup and will take on Brighton and Hove Albion in this round. They are the firm favourites to win the FA Cup with the likes of Watford, Brighton and Wolverhampton Wanderers being the 4 teams in their path. They are currently 2nd in the Premier League standings, trailing Liverpool by a couple of points. However, they do have a game in hand over the Reds and a victory there could see the Citizens reclaim the top spot. 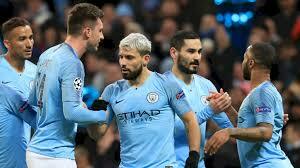 They have also advanced to the quarterfinal stage of this year’s UEFA Champions League competition and will take on Tottenham Hotspur across two legs in the round. Portuguese midfielder Bernardo Silva has been one of City’s standout players this season. “All the players feel that this season can be special. Last season was special in the way we won the Premier League; this season can be special because we’ve already won one competition, we’re still playing for three. Well, if any team is going to win the quadruple, it just has to be City. They have been sensational this season and you wouldn’t want to bet against them going all the way in all competitions.